Turchynov's bill will be submitted to the Rada shortly. 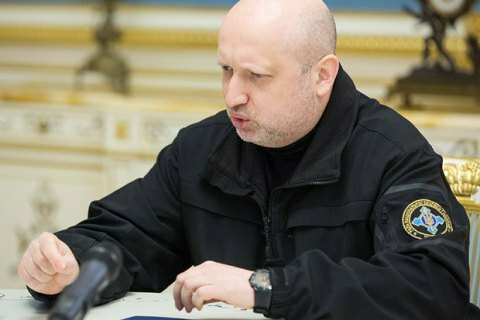 Secretary of the National Security and Defence Council Oleksandr Turchynov believes that residents of the occupied territories wishing to obtain biometric passports should undergo tougher checkups. A statement posted on the site of the National Security and Defence Council on Thursday, 22 June, says that the number of people wishing to obtain Ukrainian biometric passports from Crimea and the occupied Donbas territories has significantly increased after the start of the visa-free travel agreement with the EU. "Without the access to the archives that remained in the occupied territories, there is a danger that citizens of another country, terrorists or representatives of Russian special services can get access to a visa-free regime under the guise of Ukrainian citizens from the occupied territories," the statement reads. Turchynov believes that the national legislation should be amended to provide a more thorough checkup procedure for Ukrainian citizens living in the occupied territories. "Such citizens should be denied biometric passports if there is any inconsistency in the data personal data they provide," the NSDC secretary stressed. Turchynov said that that a bill agreed at a meeting with the heads of the Interior Ministry, Migration Service, Security Service and border guards will be submitted to the Verkhovna Rada in the near future.